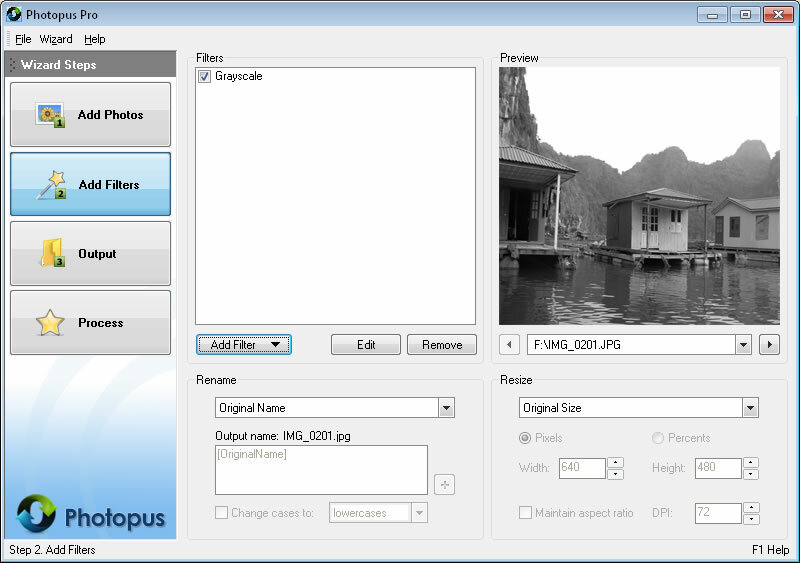 Photopus Pro is an easy to use batch image processing to simplify the process to convert, add watermarks (text and image), resize, transform, touch-up, rename, and apply effects to your digital images.
" 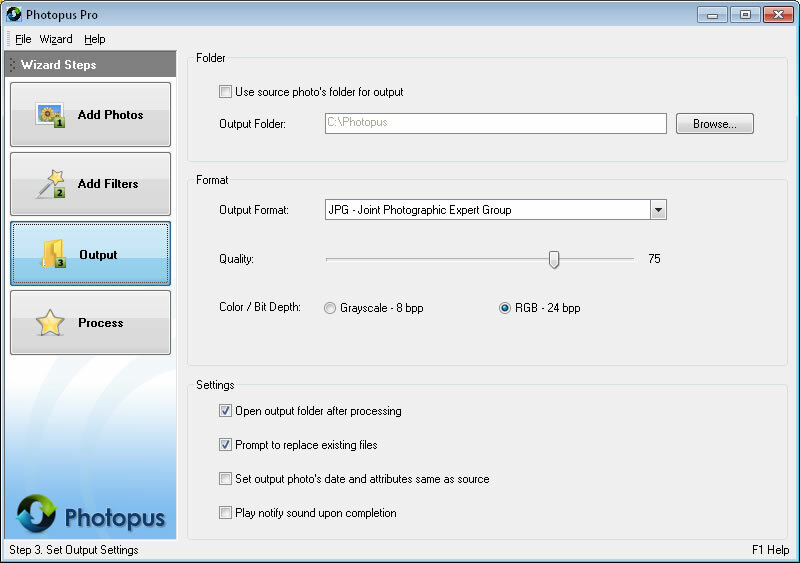 All in all, Photopus Pro is a useful software solution that allows you to batch edit various pictures on your computer, you can resize images, add watermark, apply effects, rename files, crop photos and convert them to other formats. 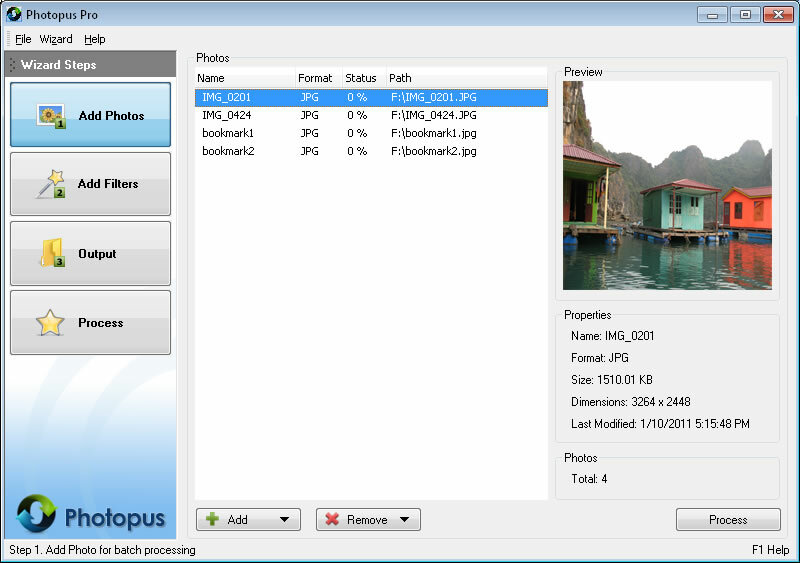 - Alexandra Vaidos, Softpedia "
Cool batch image features to save your time to process hundreds of images at once. Convert images from RAW digital camera like Kodak, Nikon, Sony, Olympus, Canon, Pentax, Fuji and more. Create / Convert multi-page PDF or TIFF from multi-page images. Apply effects like Aqua, Black and White, Blur, Sepia, Grayscale, Sharpen, Smooth, Emboss, Red Eye Correction, Twirl, Add Border and more to your digital images. See the complete list here. Adjust Brightness, Contrast, Sharpen, Smooth, Color Balance, DPI, Gamma Correction, Hue / Saturation to thousands of images at once. Batch resize images automatically with ready preset for most common output sizes. Rotate images automatically to portrait or landscape. Flip images vertically or horizontally automatically. Stamp your images with watermark text. Stamp your images with watermark image. Adds date and time to your images. Adds comment to your images. Save and Load Project settings for next image processing project. Clean and well designed interface. It only involved 3 steps to process your images: Add Photos, Add Filters, Output.